National studies on in-hospital pancreatic outcomes have focused on mortality. Non-fatal morbidity affects a greater proportion of patients. 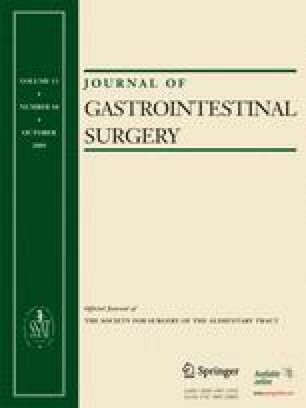 The Nationwide Inpatient Sample 1998–2006 was queried for discharges after pancreatectomy. Rates of major complications (myocardial infarction, aspiration pneumonia, pulmonary compromise, perforation, infection, deep vein thrombosis/pulmonary embolism, hemorrhage, or reopening of laparotomy) were assessed. Predictors of complication(s) were evaluated using logistic regression. Their independent effect on in-hospital mortality, length of stay, and discharge disposition was assessed. Of 102,417 patient discharges, 22.7% experienced a complication. Complication rates did not decline significantly over time, while mortality rates did. Independent predictors of complications included age ≥75 [referent, 19–39; adjusted odds ratio (OR) 1.34, 95% confidence interval (CI) 1.2–1.5, p < 0.0001], total pancreatectomy (vs proximal, OR 1.29, 95%CI 1.1–1.5, p = 0.0025), and low hospital resection volume (vs high, OR 1.61, 95%CI 1.4–1.8, p < 0.0001). Complications were a significant independent predictor of death (OR 7.76, 95%CI 6.7–8.8, p < 0.0001), prolonged hospital stay (OR 6.94, 95%CI 6.2–7.7, p < 0.0001), and discharge to another facility (OR 0.28, 95%CI 0.26–0.3, p < 0.0001). Despite improvements in mortality, complication rates remain substantial and largely unchanged. They predict in-hospital mortality, prolonged hospital stay, and delayed return to home. The impact on healthcare costs and quality of life deserves further study. To be presented in part at the Society for Surgery of the Alimentary Tract, Digestive Diseases Week, Chicago, May 30–June 4, 2009. The contributions of Dr Fred Anderson in database provision and statistical analysis are greatly appreciated. Dr Simons is funded by the Pancreatic Cancer Alliance. Dr Tseng is funded by a Howard Hughes Medical Institute Early Career Award and the American Surgical Association Foundation.